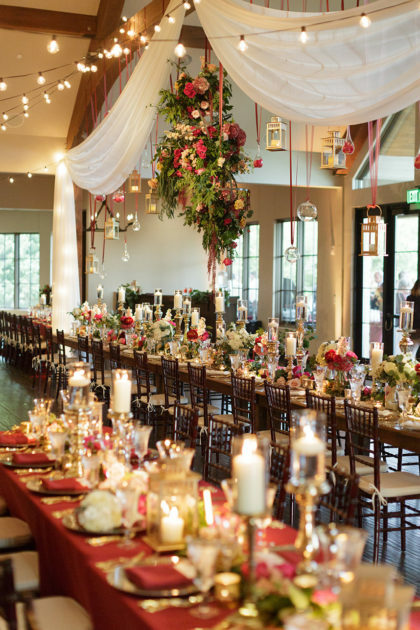 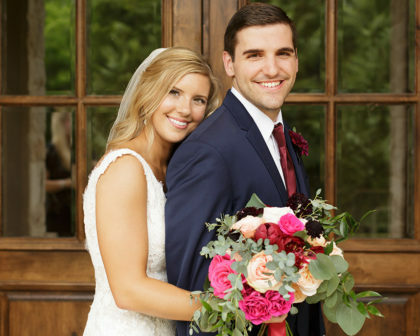 THE SETTING: Mackenzie and Anthony wanted to transport guests into a world of romance by placing them in the middle of a fairy-tale setting, and this venue did just that. 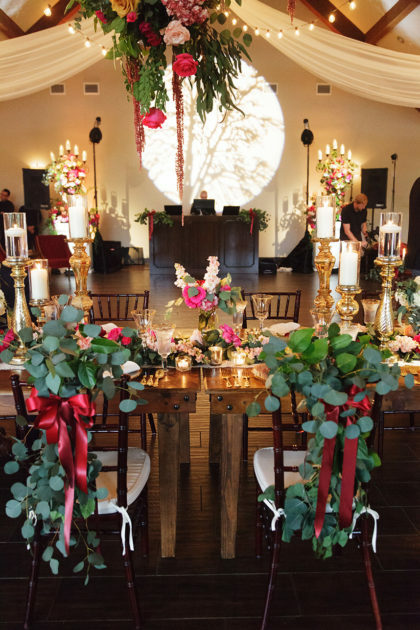 The stone architecture and big, beautiful wooden beams gave their wedding day the organic and romantic feel they desired. 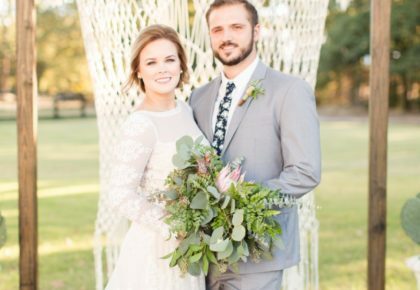 AISLE STYLE: This sweet couple embraced a traditional aisle set up, complete with a birch arch draped in linen, greenery and beautiful flowers. 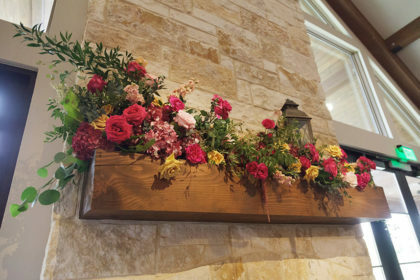 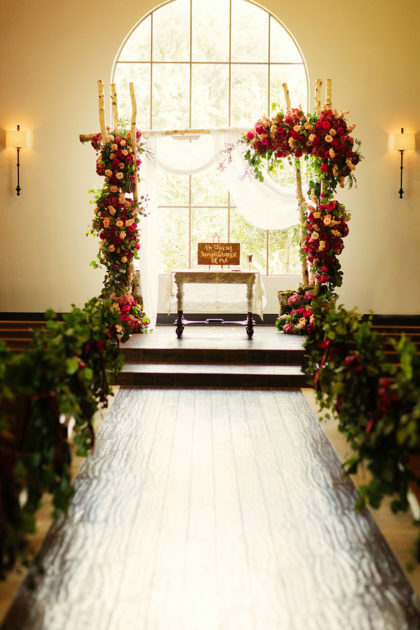 They added a personal touch by placing a communion table underneath the arch so that the couple could enjoy an intimate moment with the Lord during their ceremony. 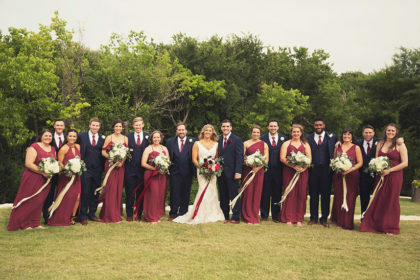 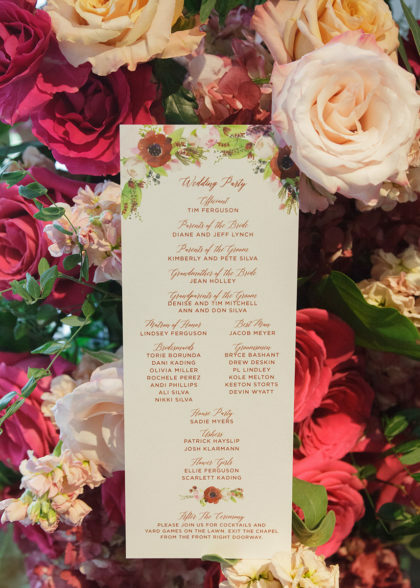 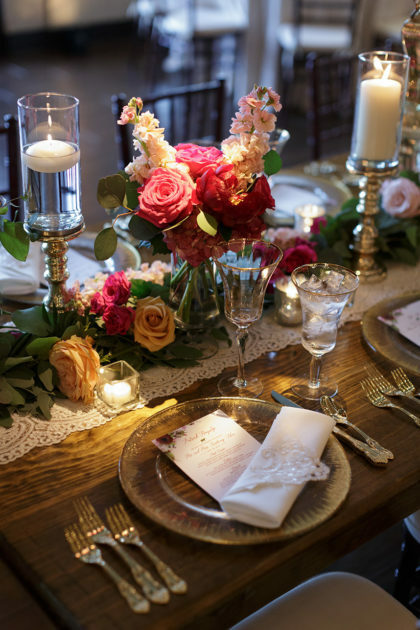 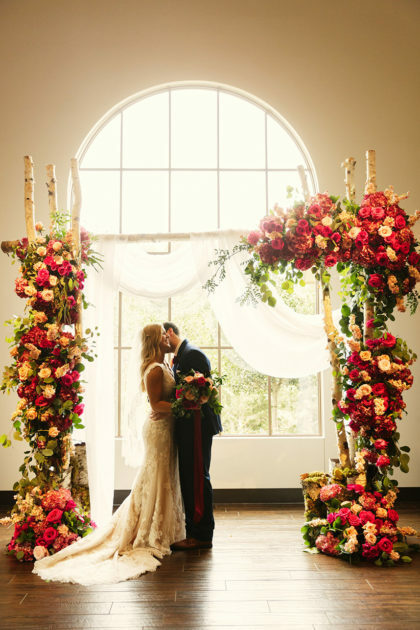 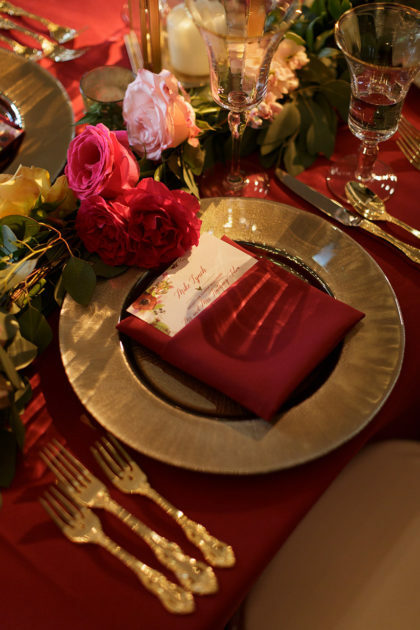 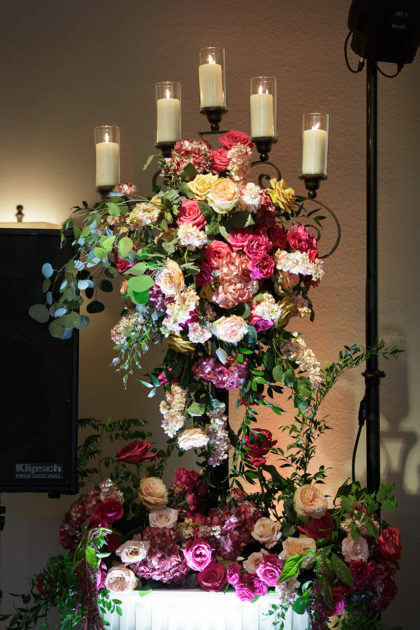 BEAUTIFUL BLOOMS: To match her Tuscan theme, Mackenzie carried a textural-style bouquet made of burgundy peonies, trust roses, pink floyd roses, juliet garden roses, burgundy dahlias, dark purple scabiosa and silver dollar eucalyptus. 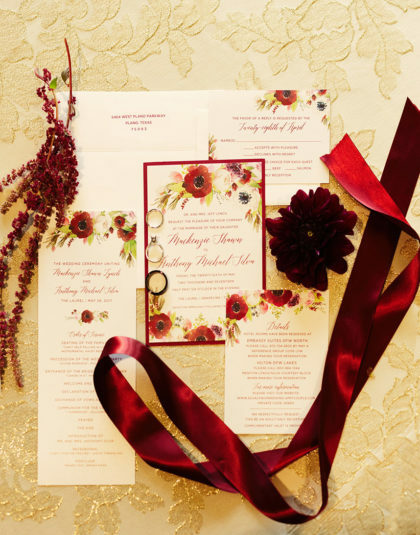 This bundle of loose garden flowers was wrapped in a lovely duchess satin merlot ribbon. 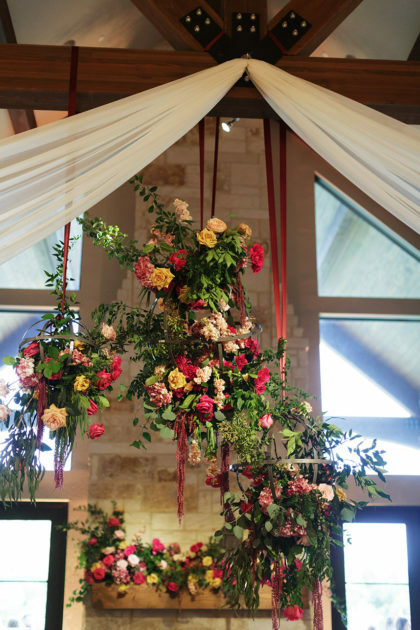 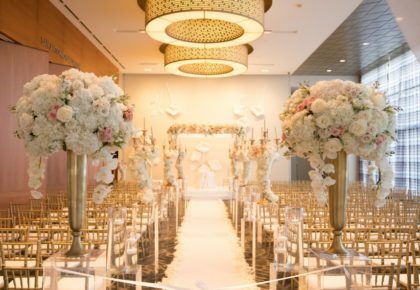 In addition to breathtaking bouquets, an incredible hanging centerpiece created by 21 Parc Floral hung above the bride and groom’s head table during the reception. 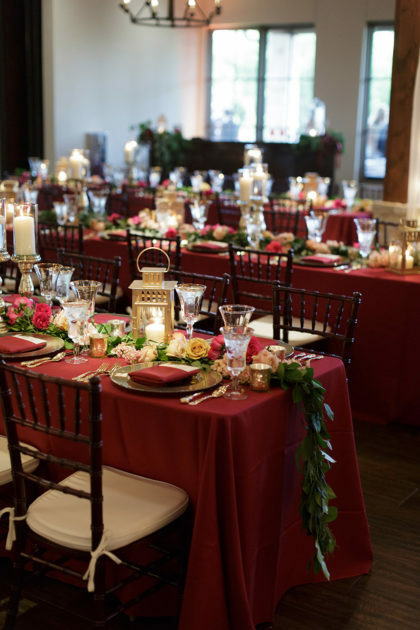 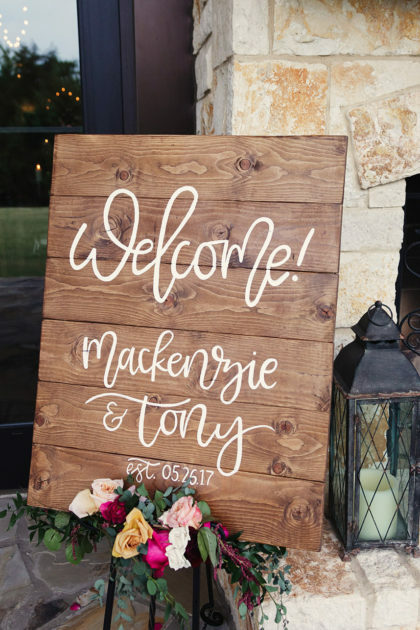 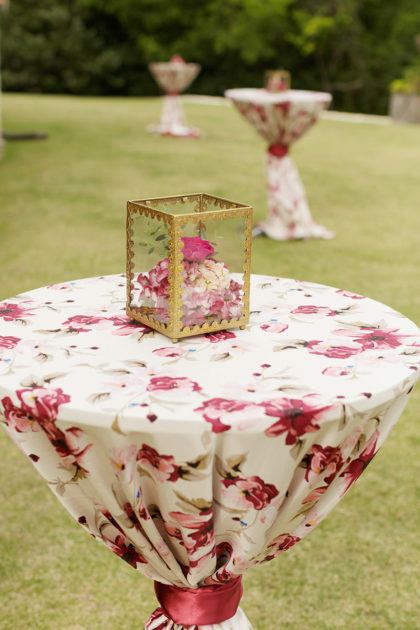 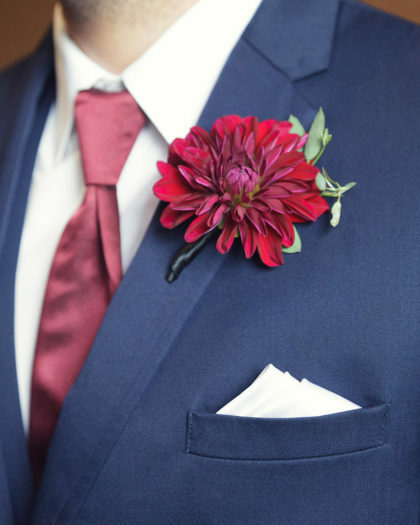 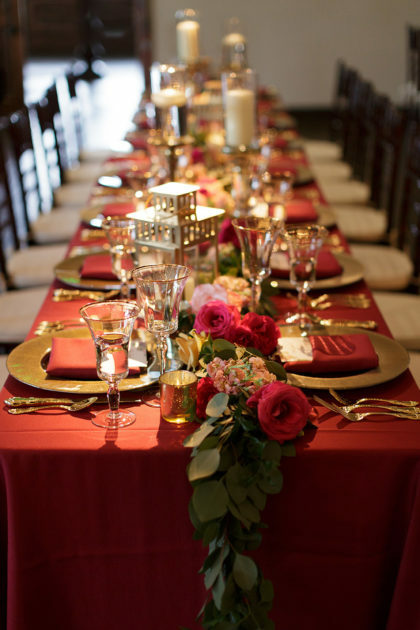 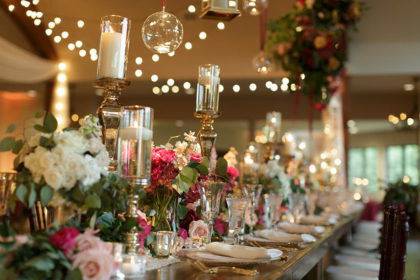 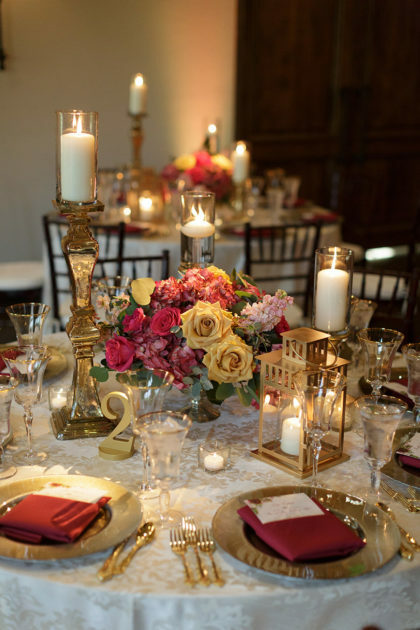 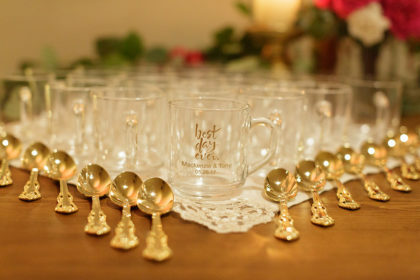 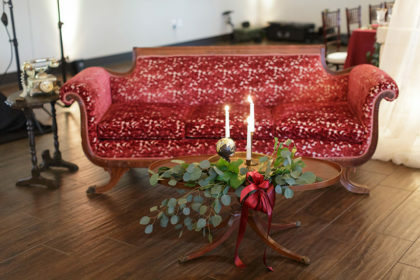 SPECIAL TOUCHES: Wanting their guests to be enthusiastic and involved at their after-party, Mackenzie and Anthony partnered with Stardust Celebrations to bring the party. 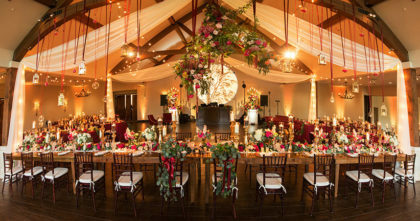 They handed out glow sticks for everyone on the dance floor, and guests were able to text the DJ song requests so they could groove to all their favorite jams. 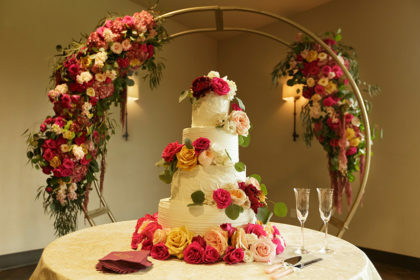 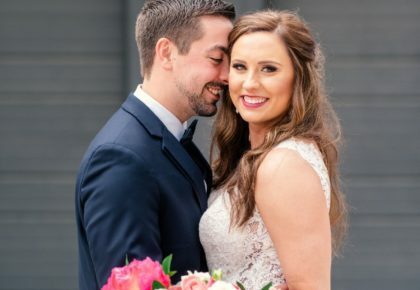 VENDOR LOVE: Because of the way they went above and beyond to make her dream a reality, Mackenzie says that Stardust Celebrations was hands down her best vendor. 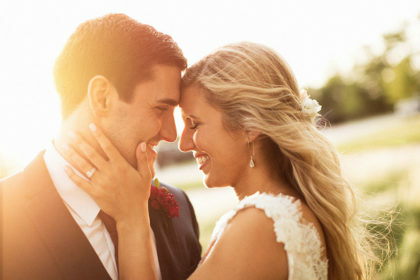 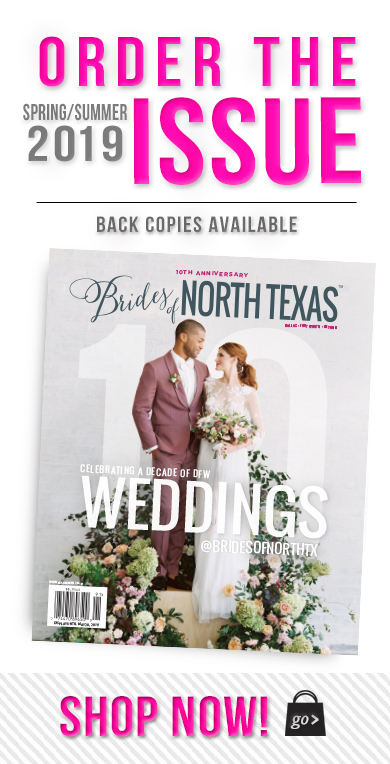 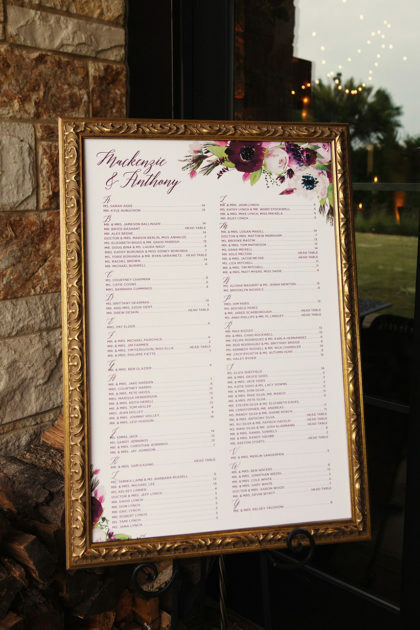 She raved about how they made the whole wedding planning process a breeze from start to finish by making her feel at ease when directing her to other amazing vendors.